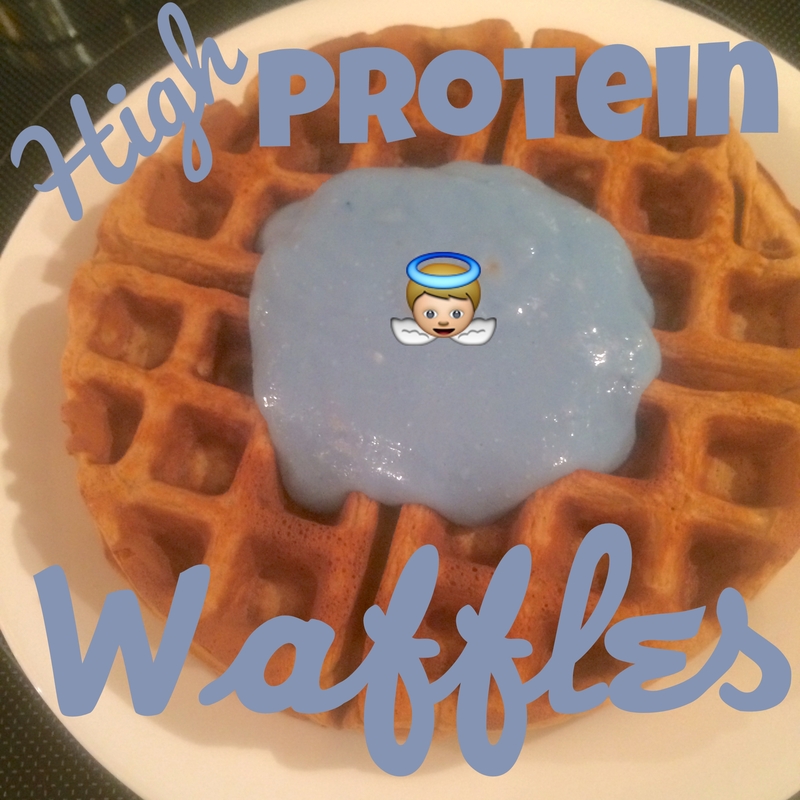 Peanut flour makes these waffles so light and airy! In a VitaMix, blend 1/4C Protein Plus Peanut Flour, 2 whole eggs, 1/2C Chickpeas, 1/4C All Whites 100% Liquid Egg Whites, 1/4C Pear Sauce, 1t Pure Vanilla Extract, 1/4t Salt, and 1/4t Baking Soda. Spray a waffle maker with coconut oil; makes 2 waffles. Optional topping add: Blueberries & Cream Casein mixed with water or almond milk. Note, these waffles aren't very sweet so you might want to add sweetener to taste.